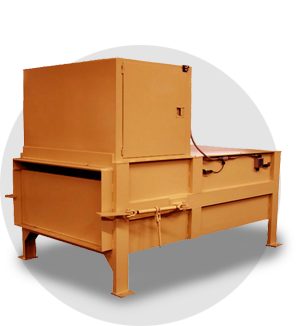 Ver-tech stationary compactors are available in sizes from 1/3 cubic yard apartment compactors to 10 cubic yard transfer station compactors. Trash is compacted into containers or transfer trailers which are picked up and emptied at a disposal site. 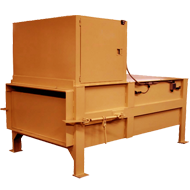 Feed openings up to 80" x 120" and pre-crusher models are available for bulky or hard-to-compact trash.